Merge VR is one of the best affordable VR headsets for android and iPhones. In this updated review of the Merge VR headset, we definitely have a lot to discuss as there have been a lot of new additions and changes to it. We had reviewed this headset 2 years back when VR was relatively new and now we come up with an updated review where we could look at the new developments that have taken place around this VR Headset. Merge VR was released as a purple VR headset that slowly became a really popular headset for android phones. The phone compatibility of this headset and the VR experience made it one of the best, does it still have the same charm? Merge VR is popular as a purple headset that is made up of stiff foam. 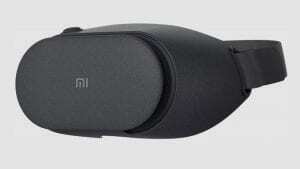 It is a little different from other headsets if you solely consider its built quality. The foam is pretty comfortable to wear in comparison to other plastic VR headsets but overall, the comfort level is not that great. It is just okay. It comes with a three-way strap which you can easily adjust so that the headset fits comfortably. While worn, the headset did not feel heavy as the weight of the headset gets equally distributed on the face. The fit is amazing as well as the foam can be compressed(not a lot) and the perimeters can easily take the shape of your face. The headset now comes in different funky colors including the classic color black. The lenses on the Merge VR is much better than the other smartphone VR headsets out there. Honestly, it comes with a good quality lens and you are going to see the difference once you wear the VR headset. The headset comes with a lens adjuster on the top and using it you can set the distance between the lenses. However, if you wear glasses like me, the lens adjuster is your only hope as you cannot wear glasses while wearing this headset. The lens adjuster could have been better and even though it does help, you are going to take your time adjusting the image in VR. The Field of view of the headset is around 85-90 degrees. The FOV is pretty decent considering the price point of the headset and you do get a pretty good VR experience. Now there are these input controls on the side so you do not have to use any controller with your phone while playing games. Although many reviewers have liked it, for some reason, on my headset the controls were just not working. I ended pairing up my phone with a Bluetooth controller. There is space to insert your headphones so you do not have any audio issue as you can plug in your headphones and enjoy the VR experience. There are a few games that you can find on the Merge VR website but then there are plenty of Google Cardboard games that you can play with this headset as well. There were a few games that I enjoyed playing on the Merge VR especially a few horror games. The experience was fun and it feels like you are inside the game. Merge VR is a good headset if you are playing horror games. The headset does give you a nice taste of VR especially if you are a beginner. 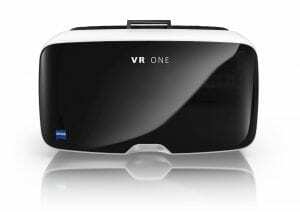 Previously the Merge VR was priced at $60 and later the website decreased the price to $29.99. Honestly, this price is pretty decent for all the features that you get with the Merge VR headset. You even have the feature to shift into the AR world whenever you want to. There is a lot you get for that price point and hence it is a pretty good investment. 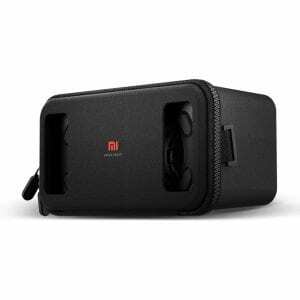 It is an amazing headset for beginners and kids so if you are looking for a Christmas present for someone who is interested in VR then this might be the right headset, to begin with. Overall, you invest $30 and get a great taste of VR, so it is a win-win situation. If you want to know the minor downsides of the headset and my personal experience then keep on reading the post. Something that I felt is that the headset is not great for a phone with more than 5.7 inches of screen size as slot gets really packed and there might be a chance of tearing through the foam. The foam is sturdy and stiff but it also causes the phone to heat up really quick. The ventilation on the headset is not that great and after a few minutes of gameplay, the smartphone started to get heated up. If you are going to play a game for long then make sure to get a cooling pad which you can put at the backside of the phone when you insert it in the slot provided on the Merge VR headset. Now, I was pretty excited to play games on the Merge VR headset, especially after all the hype about the headset. The Merge VR aced when it came to comfort but there are a few things that I did not like about the headset. Let’s start with the fact that it takes some time to focus the lenses in VR and even then you are not going to get a perfectly sharp VR image. The input keys just did not work on my headset and whenever I inserted the phone, the home screen button got triggered and I had to pull out the phone, again and again, to go back to the game. Overall, the VR experience is okayish and it is not out of the world or amazing. It is not as close as the experiences you would get on headsets like the Gear VR and Daydream VR. 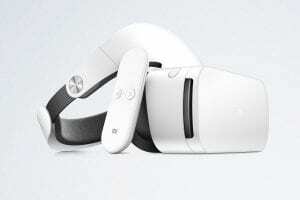 When it comes to smartphone VR headsets, then it is better to invest your time and energy on Gear VR or you can simply go for the Oculus Go headset which is pretty amazing as well. Merge VR is more like a headset for kids and beginners. If you want to get the taste of real VR experiences then Gear VR or the Oculus Go is your best bet. They alternatives I mentioned can be a little more expensive than the Merge VR but you get what you pay for. Do check out the headset and let us know what you think in the comments below! If you like the post, do not forget to share it on social media!